In the 1970s, when Dr. Cheryl Rockman-Greenberg was eyeing the budding field of genetics as a career, she had to become a pediatric doctor first. Now, Rockman-Greenberg counts her clinical background as a blessing, one that, today, geneticists no longer require. 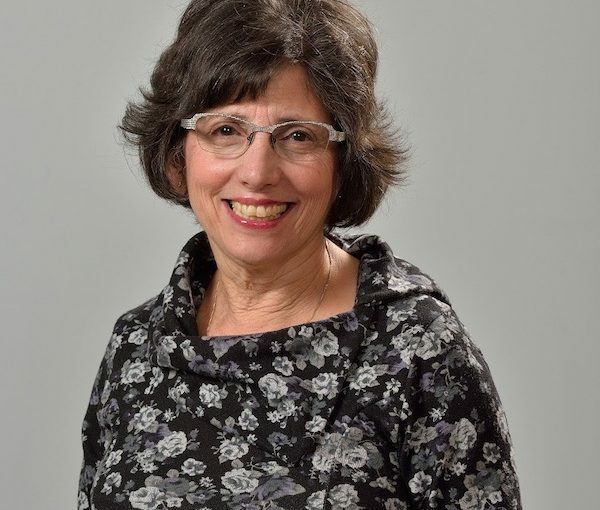 Rockman-Greenberg, who lives in Winnipeg, was invited to speak at the city’s Congregation Shaarey Zedek Sisterhood Interfaith Luncheon on April 30. “From a global perspective,” she said, “I think it fits the themes of the interfaith luncheon. And, from a Jewish perspective, I’ve certainly been involved over the years, particularly with the National Council of Jewish Women, of increasing awareness of the importance of genes for health, and bringing together some of the advocacy groups in rare genetic disorders. At the luncheon, Rockman-Greenberg was planning to discuss, among other things, Bill S-201, also known as the Genetic Non-Discrimination Act, which passed into law in Canada in 2017, though it is still being challenged by insurance companies in Quebec. Methods of genetic testing continue to advance, said Rockman-Greenberg. Tests that were nonexistent or very complicated to administer as recently as two decades ago can now be done quickly and inexpensively. “The evolution has dramatically changed over the past 10 years, particularly in the sense that the techniques we use to diagnose genetic disease have dramatically changed – from studying one gene at a time, to being able to sequence the entire genome of an individual,” she explained. When Rockman-Greenberg refers to “new genetics,” she is referring to the ability to offer state-of-the-art, revolutionary genetic testing that was not possible just 10 years ago. It is this access that Rockman-Greenberg is lobbying for now. “Everybody doesn’t have the same access to the testing in Canada,” she said. “It’s certainly not uniform from province to province or within provinces. So, many people are very committed to ensuring there are strategies in place to promote fairness. Rockman-Greenberg’s focus on rare metabolic diseases means that she has witnessed firsthand the struggles to get specialty drugs approved through a system focused on the big diseases, such as diabetes and cancer. “You may get a new drug for diabetes that will be approved and available for patients very quickly, whereas some of the new drugs for other diseases I treat can take years and years before they go through the approval process,” she said. 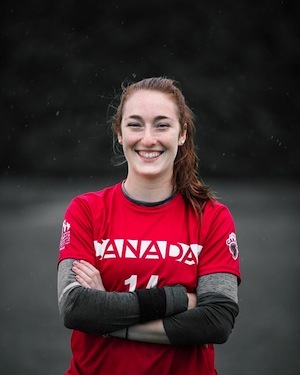 Last month, Ultimate Canada named Sarah Jacobsohn the 2018 Junior Female Athlete of the Year. “I was in the middle of biology class, looked at my phone, and saw that one of my teammates had texted me saying congratulations and a long paragraph,” recalled Jacobsohn about hearing of the award. “And I was like, what’s going on? I had no idea. Jacobsohn was born in St. Louis, Mo., in 2000, and moved with her parents and older sister to Winnipeg in 2006. She has been attending Gray Academy of Jewish Education since then, and will be graduating this year. Athleticism runs in the family. Both of Jacobsohn’s parents played sports into adulthood. She also gets her height from her parents: her mom is 5’11” and her dad is just over six feet. At the higher levels, there are “observers,” who help the players regulate the game, but they only intervene when asked by the players to do so. And, even after having been asked for their opinion, it is still up to the players to accept or disregard an observer’s call. 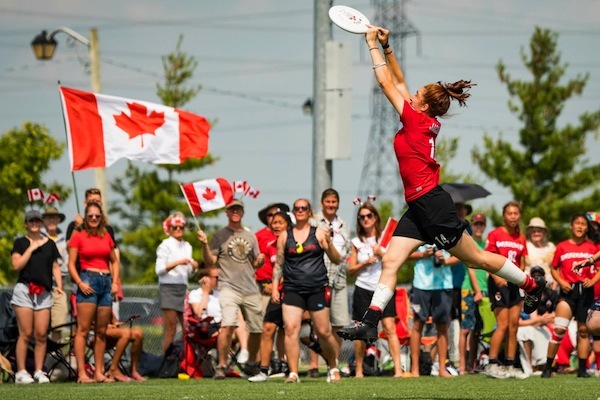 Jacobsohn started playing ultimate in Grade 6 and, at 14 years old, her coach convinced her to try out for the provincial junior team. She made the team, as one of the youngest in the group. It was there that a national coach spotted her and, at age 15, she traveled to Vancouver for the national tryouts and made the team. Jacobsohn participated in her first world championship in Poland in 2016, and Canada took home the gold. Last summer, Jacobsohn, as captain, led the provincial team to a gold medal. She went on to captain Team Canada to a bronze medal at the world championship in Waterloo, Ont. All of these feats, as well as her extensive involvement in the ultimate and broader communities, contributed to Jacobsohn being chosen for the athlete-of-the-year award. “The award is strictly based on achievements from the past year,” said Jacobsohn. “So, last year, I was captain of my provincial team and we won gold at nationals for the first time ever. Then, as captain of Team Canada, we won bronze at the worlds. And, I’ve done a lot of community stuff locally. 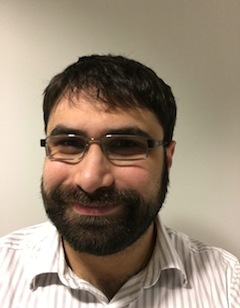 Jacobsohn serves on the Manitoba Disk Sports board, offering suggestions, as a high school student, about tournament arrangements and how the province runs the sport. She also has been very involved in the Winnipeg Ultimate Women’s Competitive League, helping to get a lot of juniors involved. “As a very competitive female athlete, I understand my responsibility growing up as a female athlete in today’s world,” she said. “I have an immense responsibility to stand up and role model for other female athletes, and I’m not scared to do that. Now, Jacobsohn is busy training for the under-24 national team tryouts. And, while her main aspiration is to become a doctor, like her dad, she is hoping to continue playing ultimate competitively for many years to come. The band Kakagi (pronounced ke-KA-gi) is coming to Vancouver next month as part of a tour that includes several B.C. stops. Officially formed in September 2015, Kakagi is Jacob Brodovsky (guitar and vocals), his brother, Max Brodovsky (drums), Jonathan Corobow (bass) and Jesse Popeski (guitar). The four Winnipeg-area musicians met and first started jamming together when they were campers at B’nai Brith Camp in Kenora, Ont. Lake Kakagi is 100-plus kilometres south of Kenora. The four each went their own way in university, but, once they finished school, they came back together to form the band. “We are all either done with school or are taking a break, to be able to focus on this full-time … so the timing was good to do some heavier touring,” said Brodovsky. Kakagi’s music is reminiscent of Neil Young, on the folk rock or indie rock spectrum. Being a young band, Kakagi has so far been playing mainly locally, but they headed east on tour in July – Toronto, Ottawa, Peterborough and Sault Ste. Marie – and will head out west in September. The tour is called Staying Up Late, and is in support of their first EP, which they recorded in Winnipeg over the winter. “I think we’re getting a better hang of being an actual touring band, figuring out how to make that sustainable, how much forward planning is needed to make that possible,” Brodovsky said. Kakagi has wanted to play in Vancouver for some time now and are happy to have created enough of a buzz with their music to warrant the trip. Kakagi will be at the Roxy in Vancouver on Sept. 5 and at Wheelies in Victoria on Sept. 8. They are also playing in Kelowna, Nelson and other B.C. communities. For more information, visit kakagimusic.com. Jewish Child and Family Service of Winnipeg (JCFS) partnered with the Suicide Prevention Network and the Jewish Federation of Winnipeg’s Young Adult Division to show the documentary The S Word for the first time in Western Canada. The screening took place March 22 at the JCC Berney Theatre, and the event’s aim was to help put a stop to the silence surrounding the subject of suicide. Rossall has taken the lead in organizing this project, along with Cheryl Hirsh Katz, JCFS manager of adult services, and Shana Menkis, JCFS director of operations. JCFS is a member of the Suicide Prevention Network, which is a group of agencies and individuals committed to enhancing the mental wellness and quality of life of people in Winnipeg, preventing suicides and supporting those bereaved by suicide. The S Word aims to open the conversation surrounding suicide. 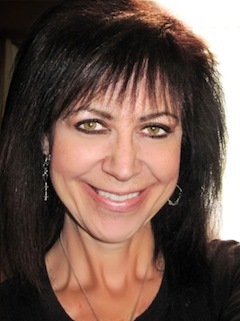 Its director, Lisa Klein, is a survivor of both her father’s and her brother’s suicides. In the film, she wanted to show the voices of those who survived suicide attempts, as well as others, to provide an honest portrayal of the thoughts and feelings surrounding suicide. She further wanted to provide positive messaging. “It’s an outstanding collection of stories that, unlike other films on the same subject, shines a light on hope,” said Klein. “It talks about language, relationships, relapses in mental health, and about how recovery is rarely a straight trajectory. It’s very real and raw. I consider it to be one of the best mental health documentaries I’ve ever seen … unique in its approach to an otherwise familiar topic. “Loss is never easy to talk about,” said Rossall. “But, when loss gets tied together with morality, as suicide often does, an added layer of stigma exists. Anything that challenges our definition of ‘right,’ ‘moral’ or ‘normal’ tends to make us uncomfortable – and it often makes people look to blame. It was in her late teens that Klein lost her father and then, three months later, her brother, to suicide. “It’s something that obviously is a huge part of my life, my existence, and it wasn’t something that right away I knew what I’d do with,” said Klein. “It affected me greatly. I really didn’t know who to talk to. That was a big part of why I did this film, because it’s so difficult to talk to people when you’ve lost people. They don’t know what to say to you. As Klein began researching the topic, she found a large community of people dealing with suicide – so great a number that they were holding conventions in the United States about it. Klein found this resource helpful when it came to finding specific stories to include in her film. 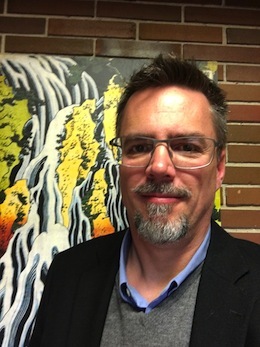 While The S Word is not yet widely available, Klein has worked to get the message across through teachers, mental health professionals and survivors. And she created a toolkit that is on the movie’s website that anyone can access to find ways to bring the message to their communities. 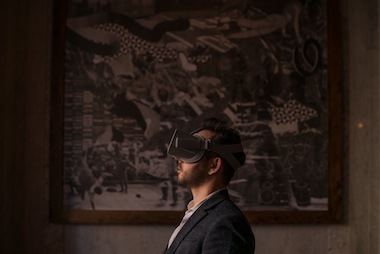 “We’ve signed with an educational distributor and eventually it will be available – probably in the late fall…. We want to help open the conversation, for sure,” said Klein. “We want people to feel less alone, like they’re not the only ones going through this. And we want people to know that they can be there for somebody else, too. Also, to know that, if you, yourself, are struggling, there are people to talk to. “A lot of times, what can really kill people, what can drive people to this is the silence or the hopeless feeling of being alone – feeling that they have nobody to talk to, and the stigma and shame keep people from talking about it. Klein invited everyone to visit the film’s website – theswordmovie.com – for more information and to watch the many interviews conducted with suicide survivors that did not make it into the film (click on the “#SWordStories” link). She further encouraged people to send in written stories about their own experiences to the website. In Winnipeg, JCFS is ready to help anyone in need, via their active mental health services program for the Jewish community and counseling services that are open to the general public. In Vancouver, Jewish Family Services is also ready to help. 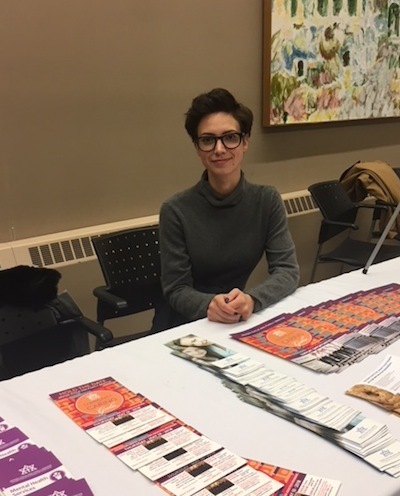 As part of the Limmud festival that took place in Winnipeg March 18-19, LGBTQ activist Sophie Hershfield gave a presentation. A student at the University of Winnipeg, studying English and philosophy, Hershfield became active in the LGBTQ community when she was at Gray Academy of Jewish Education. She has been on the Centre for Israel and Jewish Affairs’ LGBTQ+ national advisory council since its inception last year. Hershfield is trying to break down barriers and clear up misconceptions about Israel within the LGBTQ community. Hershfield is already working with a planning committee on next year’s parade in Winnipeg. Through CIJA, Hershfield plans to continue her efforts to improve inclusiveness within Jewish communities across Canada and to do Israel advocacy in LGBTQ communities. Jonathan Lerner favours a similar approach. He is assistant director of the Vancouver Holocaust Education Centre, and is also on CIJA’s LGBTQ+ Advisory Council. “Vancouver is a very welcoming place for LGBTQ people, with a society that is very diverse and welcoming,” he said. “The annual Pride Parade draws 600,000 people or more, and there is a month-long celebration. The municipal government is very supportive of these events and, while discrimination still exists, Vancouver as a whole is very welcoming. Still, Lerner feels there remains a disconnect between the Jewish and LGBTQ communities. Lerner said that, while CIJA and the Jewish Federation of Greater Vancouver have worked hard at increasing collaboration and sharing between the communities – with recent workshops, training and outreach – more is always welcome. Meanwhile, in Winnipeg, there have been other initiatives to increase awareness and inclusivity. On Feb. 21, Shaarey Zedek Synagogue hosted at the Jewish deli Desserts Plus an event called LGBTQ Jews: Sexuality, Gender Identity and Judaism, with some 20 attendees. It was led by the synagogue’s Rabbi Anibal Mass. “Our vision is an inclusive space, a nonjudgmental environment, where you can express your Judaism pretty much your way,” Mass told the Independent. An LGBTQ group had approached the synagogue, said Mass. Some people from the group attend Shaarey Zedek and were concerned about the level of acceptance at the shul. Mass sees rabbis of the Talmud as examples to follow in regards to being nonjudgmental and inclusive. “They speak about compassion, about loving your fellow human beings,” said the rabbi. “We feel empowered by the works of the rabbis to embrace all these people in our synagogue and make Shaarey Zedek their home. 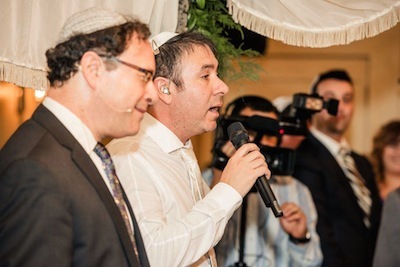 At that information event, a gay male couple from the synagogue shared their story with the group, about how they were turned down for a wedding from pretty much every synagogue in town – until they arrived at Shaarey Zedek. The couple said they could not believe how welcoming the congregation was. “We ended up celebrating their wedding,” said Mass. “Many times, people complain that synagogues don’t offer the answers. The problem is, sometimes we don’t have the questions. We want to know what people in the LGBTQ group actually want, and to make that part of our vision.